Mentors help newly arrived refugees become self-sufficient and acclimate to a new culture. Mentors help by making a home visit once a week and practicing English, playing games, showing refugees how to ride public transit, and being supportive as a teacher, advocate and friend. This volunteer experience is a remarkable exchange, for you both have many things to teach one another. We expect mentors to see their partners once a week, maintain contact with RefugeeOne through monthly reports, and participate in occasional trainings. In-home mentoring schedules are flexible and sessions may occur on evenings and weekends. 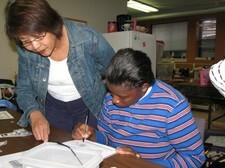 RefugeeOne’s in-home tutors work one-on-one with a child who has recently arrived in the United States. In a mutual exchange of culture and knowledge, tutors will help youth ages 6 - 17 practice English and adjust to the U.S. school system. We are looking for people with caring hearts, cultural sensitivity, patience, dedication, and English fluency. We expect tutors to meet with their student once a week and maintain contact with RefugeeOne through monthly progress reports. In-home tutoring schedules are flexible and sessions may occur on evenings and weekends. Be a mentor and role-model for refugee youth! 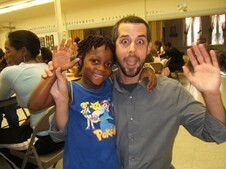 RefugeeOne seeks dedicated volunteers to work with our After-School Youth Program. Volunteers help with a variety of tasks including one-on-one homework help, reading groups, and educational games. Volunteers should be at least 17 years of age and able to commit to one afternoon per week 4:00 – 6:00 for the duration of the school year. This volunteer position is only available August - May. Do you speak another language fluently? Use your skills to communicate with refugees in the language most comfortable for them. RefugeeOne needs volunteers to interpret for new arrivals at O’Hare Airport and assist staff in booking doctors’ appointments and cultural orientation for new clients. Interpreters are primarily needed Monday-Friday between the hours of 8:30 a.m. and 4:30 p.m., and occasionally on weekends or weeknights. 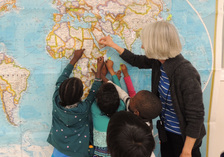 Refugees in RefugeeOne’s English program have the opportunity to stay after class for additional tutoring and conversation practice with a volunteer. Classes are hosted Monday through Thursday at the RefugeeOne office, with after-class tutoring in the late morning and mid-afternoon. This experience is integral in helping refugees develop the language skills necessary to successfully transition into their new life in the United States. Volunteers should be fluent in English, culturally sensitive, and able to commit to one or two regular tutor shifts a week. Free tutor training is available for those interested. 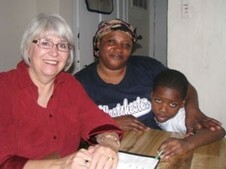 These volunteers assist our Medical Case Manager with refugees overcoming medical issues and rebuilding their health. The would meets once weekly with a specific family, assess changes to their medical conditions, ensure they are taking their medication correctly, explain medical documents they have been given, and inform the case manager if they have received any referrals. It is helpful when the volunteer can assist with transportation to medical appointments. Volunteers with a clinical medical background (professional or personal) are preferred.